Select Color: Assorted BrightAssorted CalmRed/RedRed/GreyGreen/GreyBlue/GreyBlackBlack/Grey Select Size: NormalLong Shoulder Straps This item is currently out of stock! Made when ordered here in our factory in Portland, Oregon, and winner of the Guides Choice Award, the 30L Guide Service CiloGear WorkSacks takes alpine climbing perfection (in a daypack) to the next level of durability. The CiloGear 30L Guide Service WorkSack delivers the features of our classic 30L WorkSack in materials suited for the daily abuse of mountain guides working in their office. With the classic shape of the 30L, the Guide Service uses a VX100 bottom panel and VX42 on the lower side panels for substantially increased durability. The result: a significantly more durable pack without making a pack that's too heavy wear while climbing hard. Feel free to beat it up! 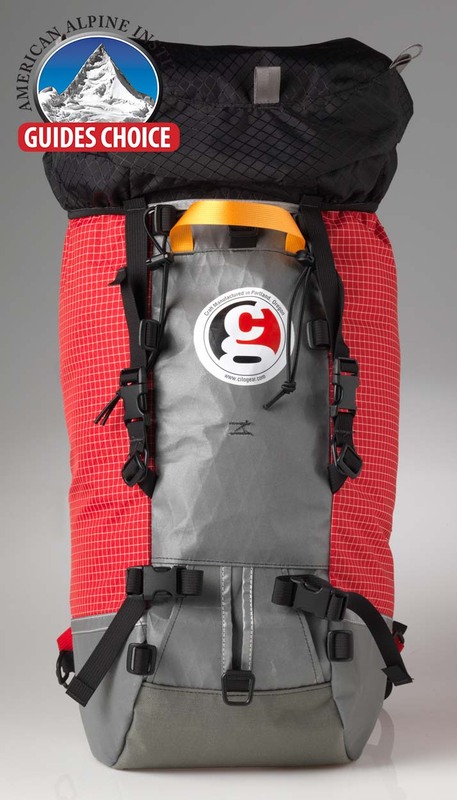 The 30L provides all the classic CiloGear features, including the Ninja Pocket, internal compression strap, hip belt, sternum strap, lid, a set of six straps, and a removable bivy pad.